500 MHz, 2 CH., 2GS/s max, 8K points record, Color, Autosetup, GPIB. HP 54114A included. 300MHz, 2 Channel. GPIB interface. 100MHz, 4 channel. Auto waveform & parameter measurements, GPIB interface. 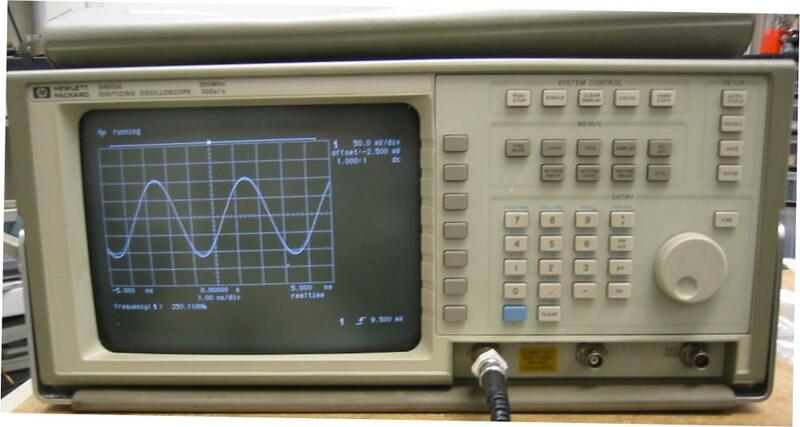 Digital signal analyzer/DSO. 1GHz BW, 2Gs/s up to 12 input channels. Waveform digitizer. 200MS/s, 10 bit resolution. Works with any X-Y display. IN STOCK! Waveform digitizer. 2GS/s, optional 1MB memory (opt 11). IN STOCK! Color Digital Storage oscilloscope on any PC. 100 Megasaples/sec. 8 bit vertical resolution. 5000 points record per channel. Smaller than a laptop. Windows 3.1/95/98 software, Carrying case, Manual,SCSI card and cable. 200MHz, 2 Channel, 1GS/s, 2mV sensitivity. Measure 11 waveform parameters automatically. 350MHz, 4 Channel, Options: 1F (floppy drive). Rackmount kit available. IN STOCK. 400MHz, 4 Channel, Options: 1F (floppy drive). Rackmount kit available. IN STOCK. 60MHz, 20MS/s, 2Ch, digital storage and analog scope in one instrument. 2mV to 5V per/div sensitivity. 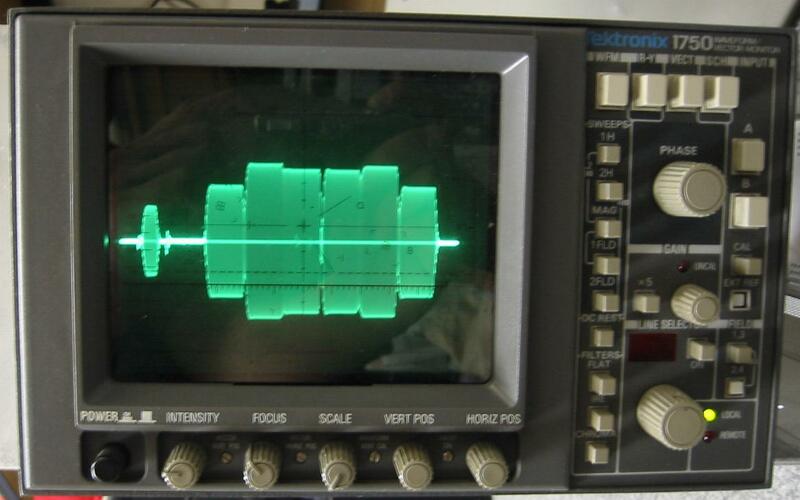 20MHz, 2 Channel, easy to use full featured oscilloscope. 300MHz 4 channel with Counter-Timer and GPIB IEEE-488 interface (options 9, 10) 6 month warr. 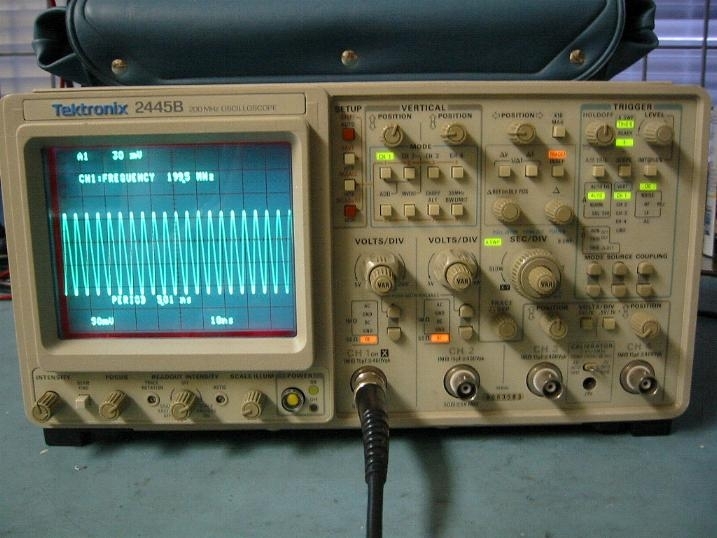 350MHz 4 channel analog oscilloscope. Autosetup, on screen waveform parameter measurements. 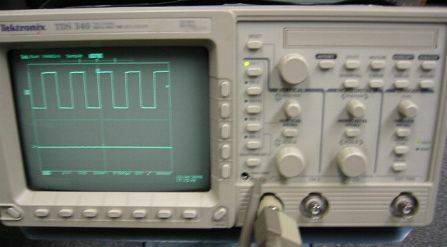 2MHz analog storage oscilloscope. Up to 8 traces simultaneously with 5A14 plug-ins. Rack mount kit for the Agilent & HP 54600 series oscilloscopes. XYZ display. Substitute HP model. PAL/NTSC studio monitor. Three way power source 12VDC/120VAC or 12V batt. Small size. XY display. Z axis input. High speed and high resolution display. SOLD OUT! PAL/NTSC Vectroscope. Dual channel. IN STOCK. TV Waveform Monitor. Betacam mode (opt. 10). IN STOCK. Video Waveform Monitor for 270MB serial component operating enviroment. Curve tracer 100Wt, 10A continuous, 20A peak pulse current power. Storage Mode. Test any semiconductor device for V-I characteristics. Also test batteries, lamps, relays. With 177 test fixture. Device adapters are available. Curve tracer 100Wt, 10A continuous, 20A peak pulse current power. Test any semiconductor device for V-I characteristics. Also test batteries, lamps, relays. With 177 test fixture. Device adapters are available. Semiconductor Curve tracer with USB interface upgrade Demo. 220Wt, 1500V. One year warranty add $500. Metallic cable TDR. Find faults in coaxial cables up to 50,000ft. long. Waveform Monitor for NTSC systems. IN STOCK. Waveform Monitor/Vectroscope. NTSC. IN STOCK. 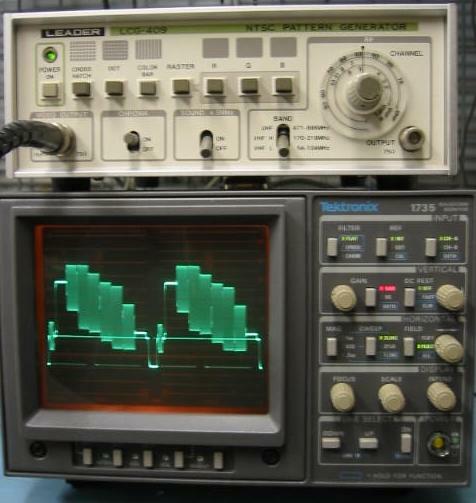 NTSC/PAL Waveform Monitor/Vectroscope. IN STOCK. Waveform Monitor. Dual channel. Computer interface. IN STOCK. Waveform Monitor. Dual system; NTSC/PAL. pic IN STOCK. 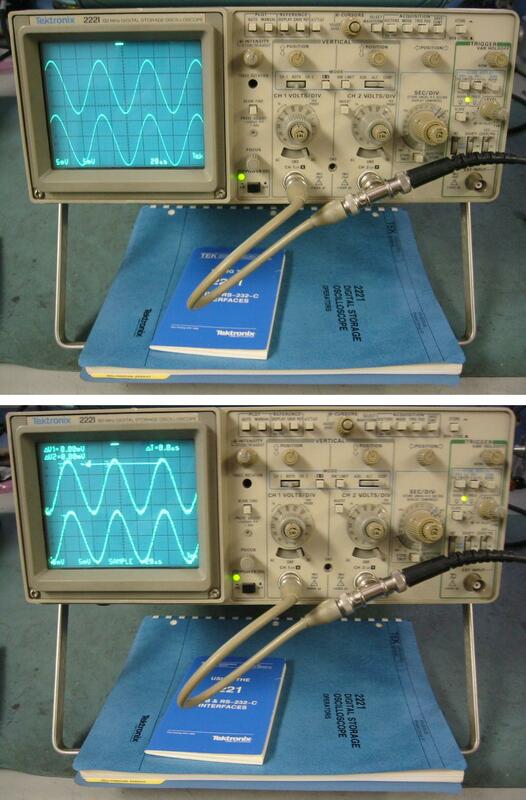 Waveform Monitor/Vectroscope and Phase display. NTSC. Wedge Probe Adapter for TQFP and PQFP, 3 Signal. New in a box. Save 50%.!!! Wedge Probe Adapter for TQFP and PQFP, 8 Signal. 0.5mm pitch. New in a box. Save 50%. !!! Wedge Probe Adapter for TQFP and PQFP, 3 Signal. New in a box. Save 50%. !!! 4 Channel Vertical amplifier plug-in for the Tektronix 5000 series oscilloscopes. 350 MHz dual channel vertical amplifier for 7000 series oscilloscopes. 5mV to 5V per/div. Oscilloscope cart. Fits TEK 2400, TDS series and many other types of equipment. Vertical amp plug-in for 11XXX and DSA series oscilloscopes. 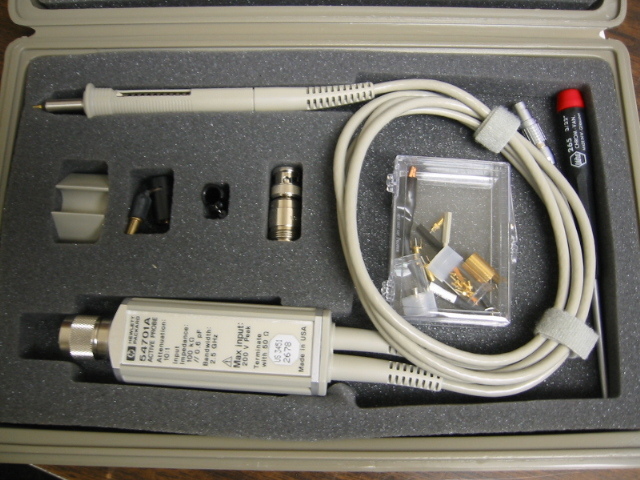 200MHz, Oscilloscope probe with accesories. New with complete set of accesories. Sold as a pair. 200MHz Oscilloscope Differential probe. With 1142A control module for any scope. 500MHz, 10MOhm, General purpose oscillscope probe. New! HV probe. 40kV max. Measurement. Works with any oscilloscope. Probe will be charged with dielectric fluid before shipment. 500MHz FET probe for 50 Ohm or 1 MOhm systems. 2pF input capacitance. Dynamic range +/-6.0V (60V with external attenuator). 10x attenuation. DC Offset nulling. Sampling head DC- 1GHz with probe. Rin= 100kOhm, <2.3pF. Complete set of accessories. Data management computer for the Tektronix TDS series oscilloscope family. Adds hard drive storage thru an oscilloscope GPIB interface. Probe tip for P6201 probe. NEW. Minimum order 2 tips. Color LCD kits for TEK TDS models with defective flyback transformer (p/n 120-1930-00) and CRT's (640-0077-01, 154-0968-00, 154-0968-01).